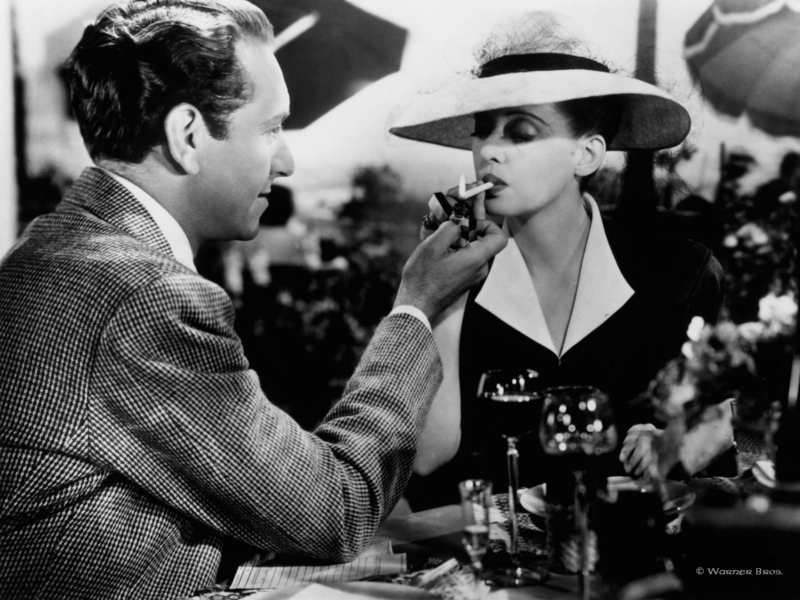 Now, Voyager, labeled by many critics as the apotheosis of the “woman’s picture,” is an unabashedly sentimental piece of Hollywood froth, but this does not detract from the ultimately enjoyable impact of the film. 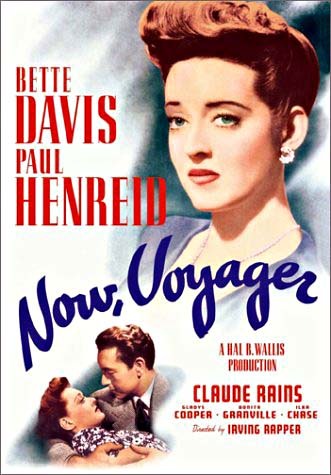 This Bette Davis vehicle is based on the novel of the same name by Olive Higgins Prouty, who also wrote the novel upon which the successful 1937 film Stella Dallas (the role that made Barbara Stanwyck famous) was based. It’s an appropriate sentiment for the story, in which Davis portrays Charlotte Vale, a repressed spinster with a domineering, cruel mother. After spending time in a sanatorium run by Dr. Jaquith (Claude Rains), reveling in her new-found freedom, she embarks on a South American cruise and befriends an unhappily married man, Jerry (Paul Henreid). Though they fall in love, Charlotte decides she cannot see Jerry again and leaves him, and upon returning home, her mother finds that she can no longer control her newly-confident daughter. But Charlotte’s journey of self-realization and personal growth is far from over, and she finds herself becoming a maternal figure to an unexpected new ward. … is believable because Davis so definitively grasps the character that she makes you believe it. The film so thoroughly captivated audiences that, for years afterward, both Davis and Henreid were urged to recreate the famous scene in which Henreid lights two cigarettes at a time, then extends one to his paramour (Henreid claimed credit for this bit, but it actually originated with screenwriter Casey Robinson). The scene below shows the final cigarette-lighting scene in the film; don’t watch past :30 if you don’t want to completely spoil the ending. 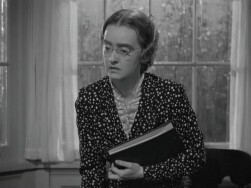 Charlotte Vale is perhaps Bette Davis’ most intriguing character, and indeed, the film’s success rides almost exclusively on her portrayal of the young woman. In recent years, feminist critics have latched onto this film as an example of a woman blossoming into her own outside of male influence. While I agree to an extent, it is important to note that Charlotte does not ultimately achieve independence merely on her own; it is the psychological intervention of the male Dr. Jaquith that allows her to escape her maternally-imposed repression and become a self-assured young woman. But let’s not enter into feminist debate here, because otherwise I’ll never get this posted. What remains is the fact that this is a lovely film, entertaining and heartbreaking. If you’re a sap like me, watch with some tissues handy. And if you miss it, it’s on DVD through TCM and Amazon (though, once again, strangely enough, it’s cheaper through the former! ).